Composite reinforcement specialist Chomarat will exhibit its latest woven and multiaxial carbon fibre reinforcements at JEC World 2019 (Hall 5 - Stand J42). "Prepregs are used in the most demanding markets, such as aerospace or the automotive industry. Due to their high performance, Chomarat’s carbon fabrics are highly considered by prepreggers. Compared to standard solutions, the multiaxial reinforcements developed by the group offer Chomarat’s converter customers significant productivity gains," explains Group Managing Director Michel Cognet. And he continues: "With its production sites in France, Asia and the United States, Chomarat is able to supply its customers and guarantee the same high level of quality in all countries!" 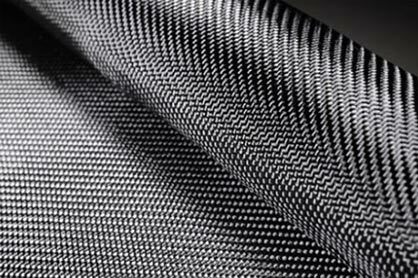 In just a few years, prepreggers have come to consider Chomarat's C-WEAVETM carbon-fibre fabrics as a benchmark for surface-finish quality and processability. "Prepreg users often manufacture Class A surface parts for demanding applications, and they need excellence and reproducibility," explains Chomarat’s Prepreg Market Manager Ulrike Salmon. The advantages of multi-axial reinforcements are now well established - oriented axes, absence of resin-rich areas allowing a high fibre content, and improved mechanical tensile and/or bending performance thanks to the non- crimp fibres. 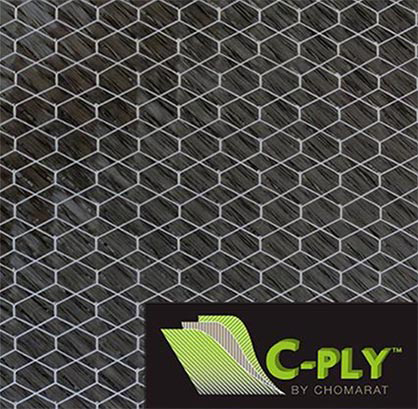 By developing its C-PLYTM range, Chomarat further demonstrates that multiaxials are a real asset in terms of performance and appearance. "Chomarat strives to minimize marking on parts and to optimize surface quality through fibre spreading and the use of suitable stitches. C-PLYTM can also integrate aesthetic functions by using the assembly seam as a graphic design", continues Ulrike Salmon.